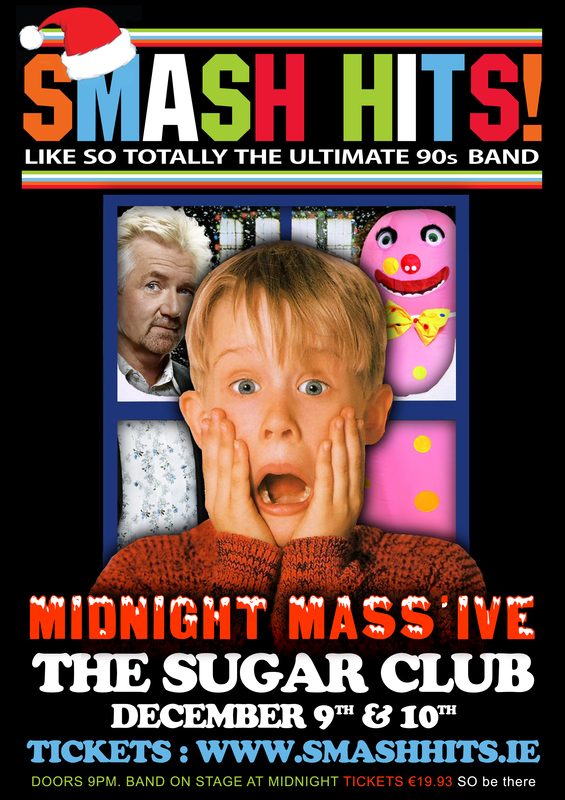 CLICK HERE FOR TICKETS TO THE MIDNITE MASS’IVE AT THE ACADEMY ON DECEMBER 19TH! What a like totally awesome night at The Palace Navan on Friday. 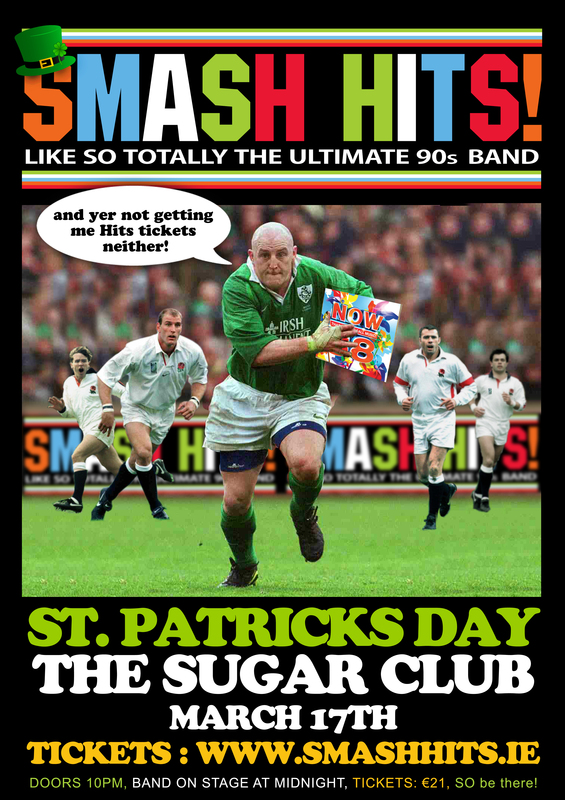 400 Smashers blew the roof off! Upcoming Shows: Brubakers in Dundalk on Friday October 17th The Carraig in Carrick-On-Suir on Saturday October 18th SO BE THERE! 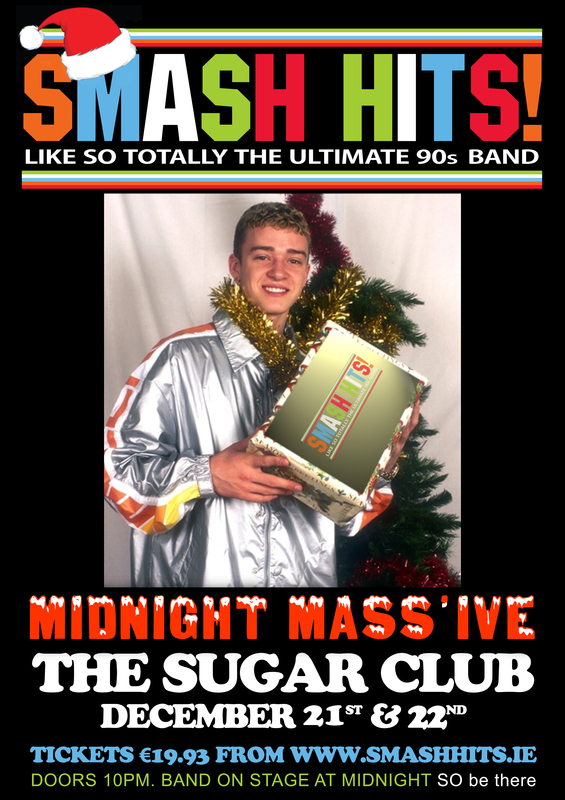 CLICK HERE FOR TICKETS TO THE MIDNITE MASS’IVE AT THE ACADEMY ON DECEMBER 19TH! Like Totally Check Out The Hits Jam Packed Week! 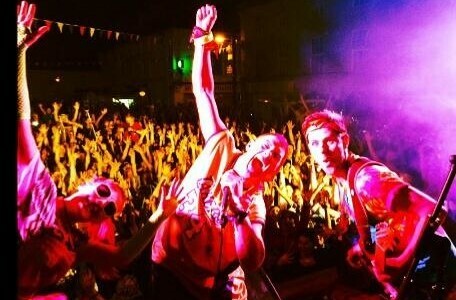 Wednesday 24th – Athlone IT Thursday 25th – DITSU Freshers Ball with Daithí & Niall Breslin. 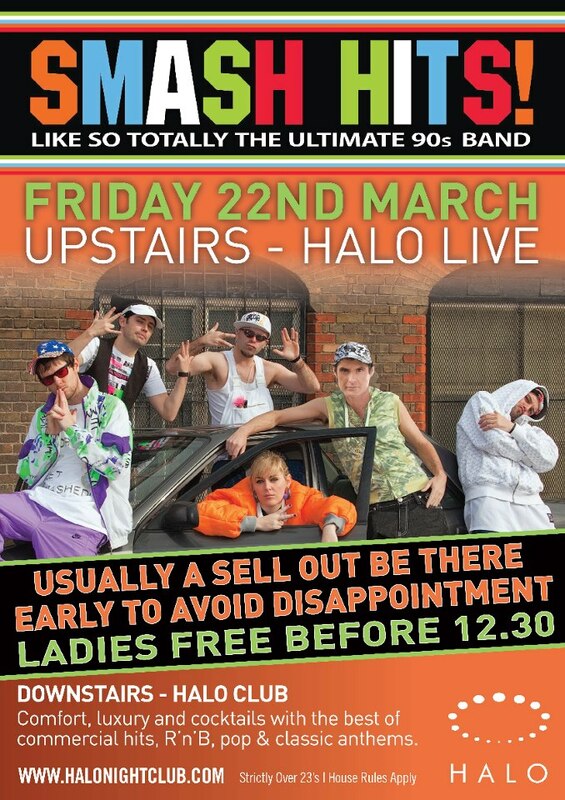 Friday 26th – The Palace Navan SO BE THERE! BOOM BOOM BOOM, Lemme Hear You Say SOHO …. What A Like Totally Awesome Jam-Packed Sold Out Night at Soho Bar in Cork on Saturday. Thanks to all who came along and to all the staff. 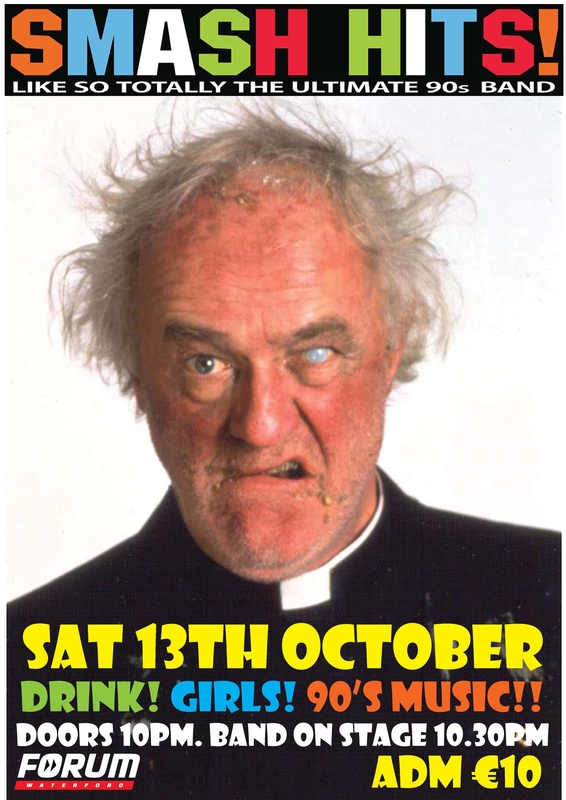 The Hits are coming to The Library in Limerick on Saturday September 13th SO BE THERE! 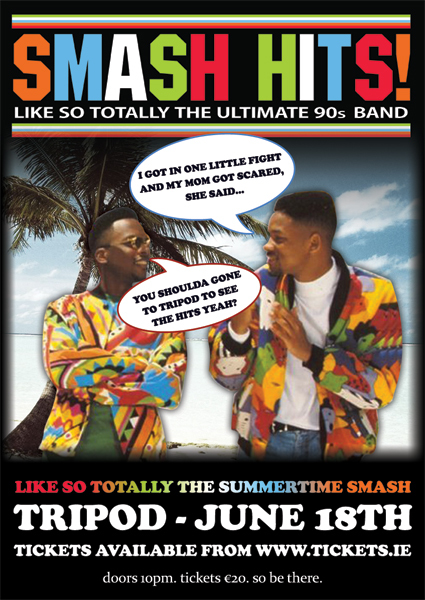 Come check out Smash Hits this Saturday the 23rd of August in Soho Bar & Restaurant in Cork. The Hits take to the stage at 10:30. SO BE THERE! The Hits are comin atcha this week: Thursday the 14th of August, it’s McPhails in Drogheda. 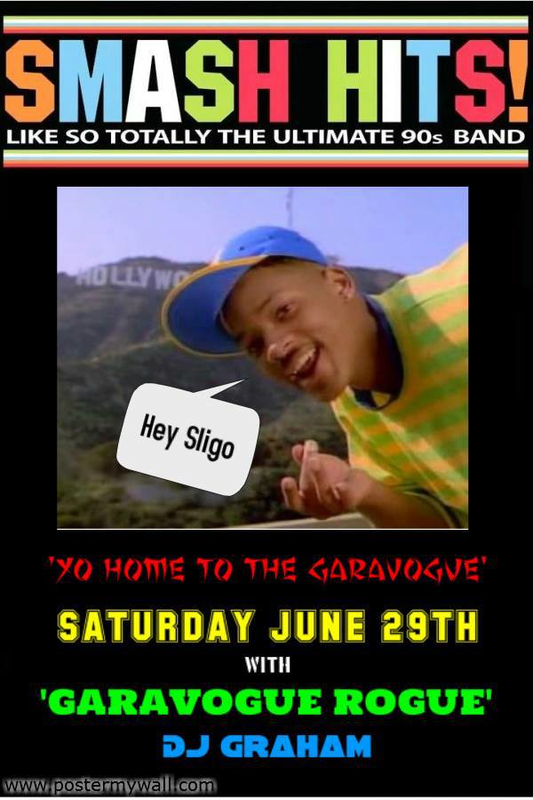 Friday the 15th, The Hits return to Younges in Ballyfermot. Let’s get Ready to RUMBLE! !